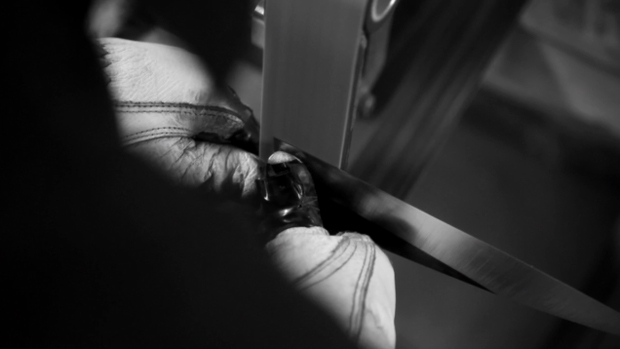 The good folks over at Made by Hand have been out creating again, bringing us their second short film tonight which involves Joel Bukiewicz a Knife Maker based in Brooklyn. Aspiring to be a writer, Joel stumbled across the art of bespoke knife making while drowning his sorrows in a sea of creative projects. Although this is something Joel fell into in some respects we hear how he realised the potential in the craft and homed his skill set to point where he could make beautiful products that he believed in. Finding a new found medium of expression, Joel was introduced to a complete scene of craftsmen that he never knew existed. Here he discovered that the real riches in life are measured by the people we meet and not the money we make. I found Joel to be quite a bold individual in the film below, he really speaks his mind and has no qualms about making mistakes to get where he wants to be. Realising the opportunities for writers were few and far between he’s picked himself up and has ran with a new idea which takes real heart in my opinion. Another inspiring piece from Keef and his team at Made by Hand, a collective worth following if you enjoy this piece below.